For any new entrepreneur setting out on starting his/her own business, the very thought of setting up an enterprise may seem like a mammoth task. However, as author Sivakumar shows through his own experience, business is dependent only on one’s attitude and ethics, and not knowledge or experience. Along with his two partners, he began his business out of a garage, and grew it over three decades to make it a globally recognized firm that worked with partners across different countries and captured a huge part of the domestic market. The lessons to be learnt are aplenty, and the author weaves them in through an anecdotal recounting of his partners’ and his experiences, as he takes us through a journey like none other. The 3 C’s in life - Choice, Chance and Change. Subramonian Sivakumar holds a degree in Economics and has thirty-six years’ experience in the field of marketing and selling. Born in a middle-class family that believed in knowledge and education, he broke away from the conventional system of working for others and became an entrepreneur when India’s small-scale industry had not matured to reach the heights of what it is today. He has quite a few credits to his name—in terms of successfully building an organization from the strength of single digit to 800 people. He built a screen-printing unit that operated from a garage three decades ago, which ended up being a part of the global scene and has built up a brand image for itself in the B2B segment. His wife, Sumathi, helped him build the business in the initial years. She holds a Master’s degree in English literature and is a versatile performer of dance and music. They have two sons, who live in the United Kingdom and United States. The older one has a Masters degree in engineering from University of Pennsylvania, and a Masters in Business Administration from Oxford University. The younger son has a Masters degree in communication management from the University of Southern California. 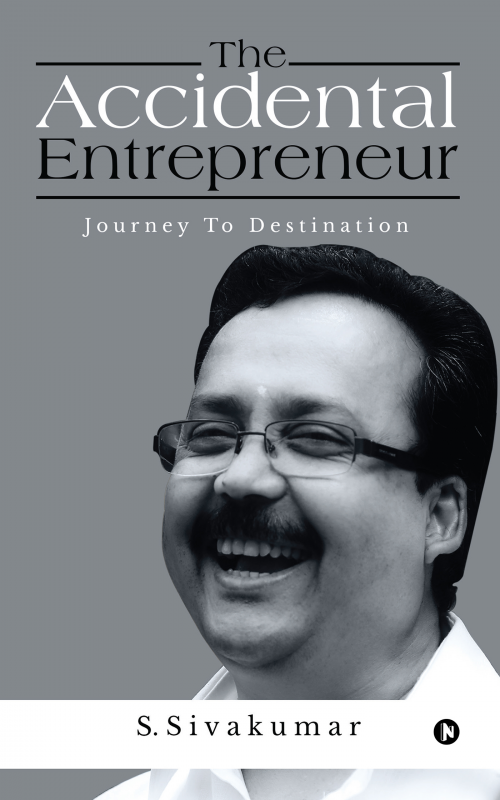 The author is beginning his second innings after a year’s break from the busy and hectic life of an industrialist, and is looking to become an author, mentor and consultant.